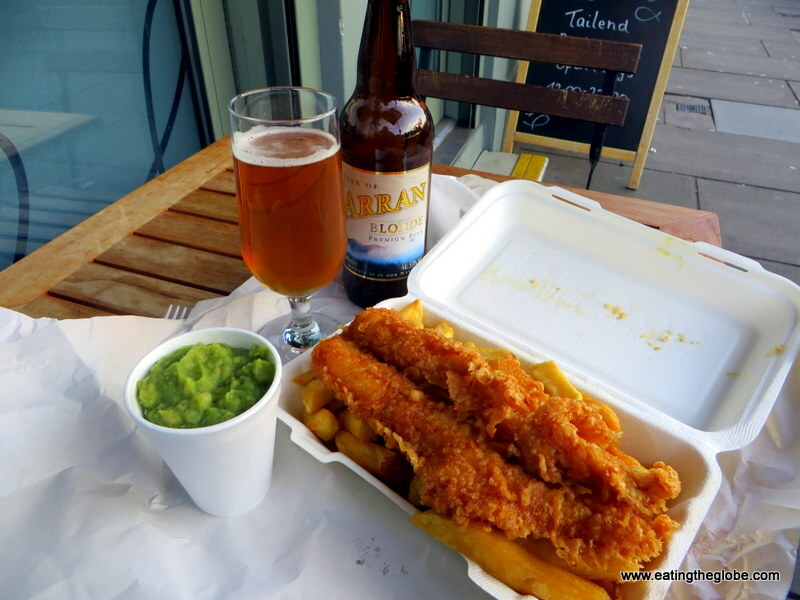 You can’t go to Edinburgh without having fish and chips (and don’t forget the mushy peas). Unfortunately many of the fish and chip shops just weren’t that good. I think because the fish and chips were already fried and just staying hot under a warmer. At The Tailend, all the fish is cooked to order, and their fries are fried in….wait for it….beef fat. Yes, beef fat. Talk about a decadent meal. Pour on lashings of malt vinegar, and enjoy this staple that is pure Scotland. 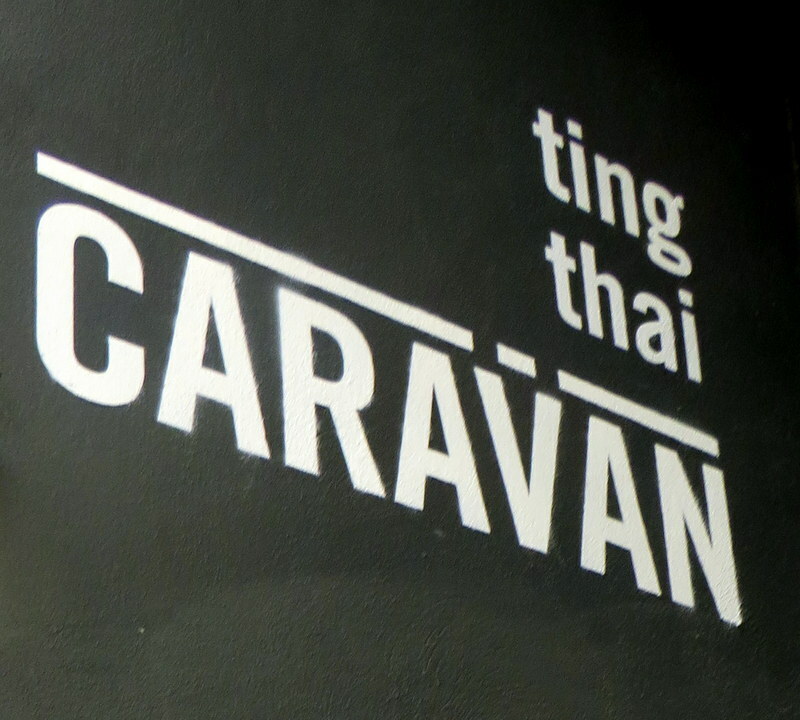 I have to say Ting Thai Caravan serves some of the best Thai food I’ve had outside Thailand. 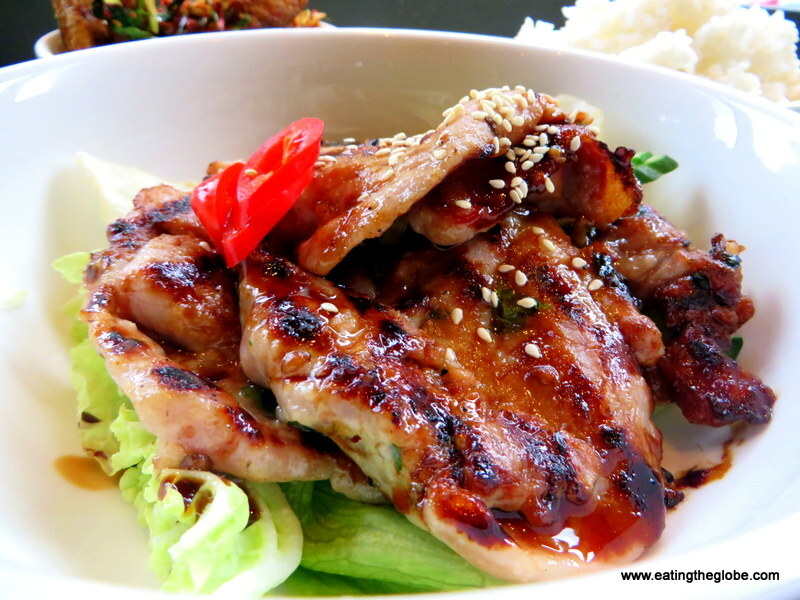 Maybe, because most of the food is food that you would order as street food in Thailand, which to me, is the best way to eat in Thailand. I loved Ting Thai so much that I went twice even though my destination after Edinburgh was going to be Thailand. 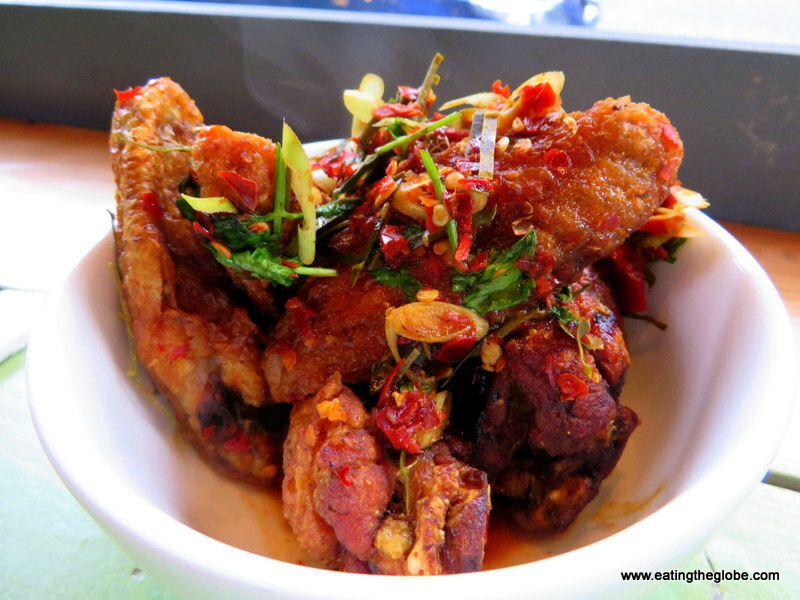 The chicken wings were to die for and were covered heavily in chiles and lemongrass (also a great deal for less than £2 an order). 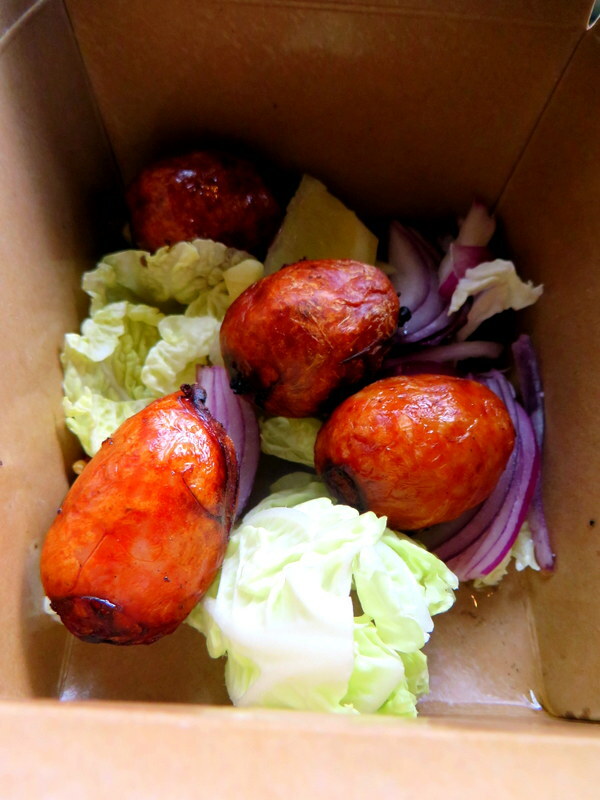 I also sampled the pork balls, and the sticky pork. But my absolute favorite dish was the crispy fried chicken over noodles. 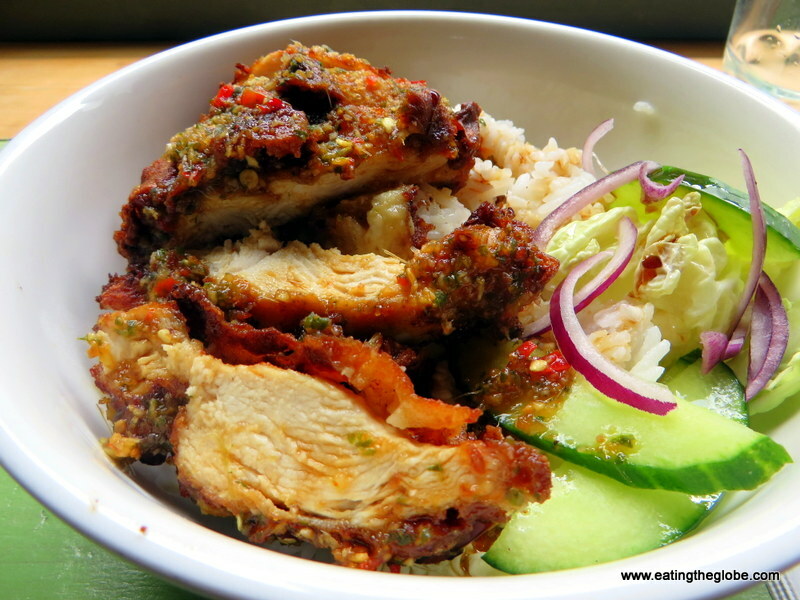 It was topped with coconut, chilies, lemongrass, shallots, and fish sauce, and was an absolute medley in my mouth. 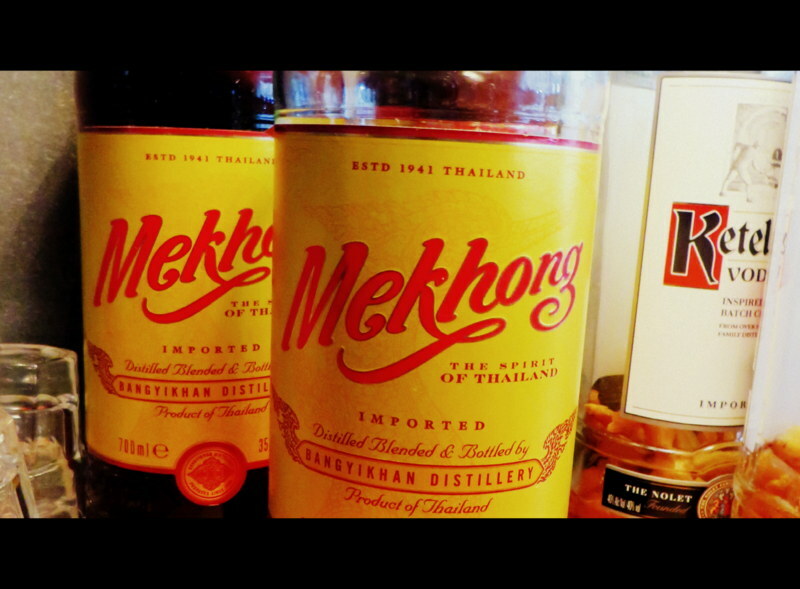 And, yep, you can even get Thailand’s favorite whiskey, Mekhong, here. In Scotland, it’s a pretty gutsy move to serve whiskey that not’s Scottish. Way to go, Ting Thai. You’ve got my vote. 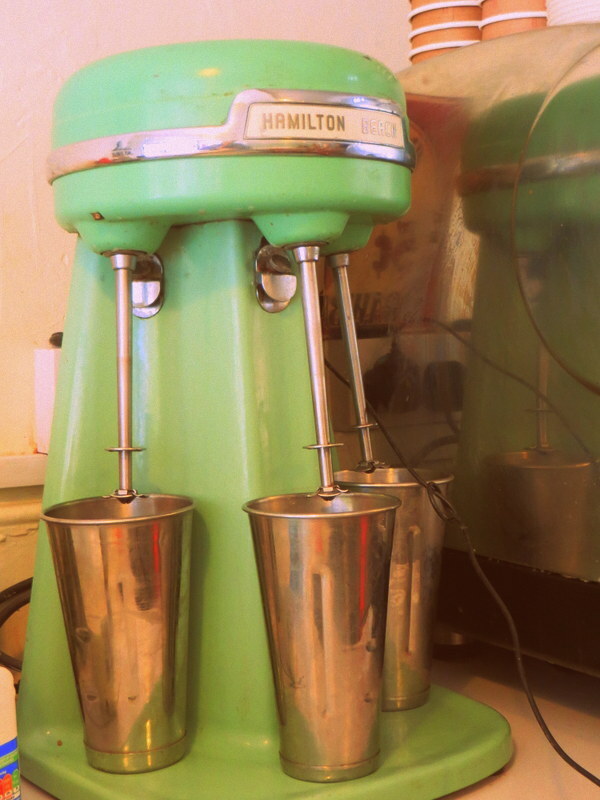 Mary’s Milk Bar is vintage all the way, and straight out of a 1960’s movie. 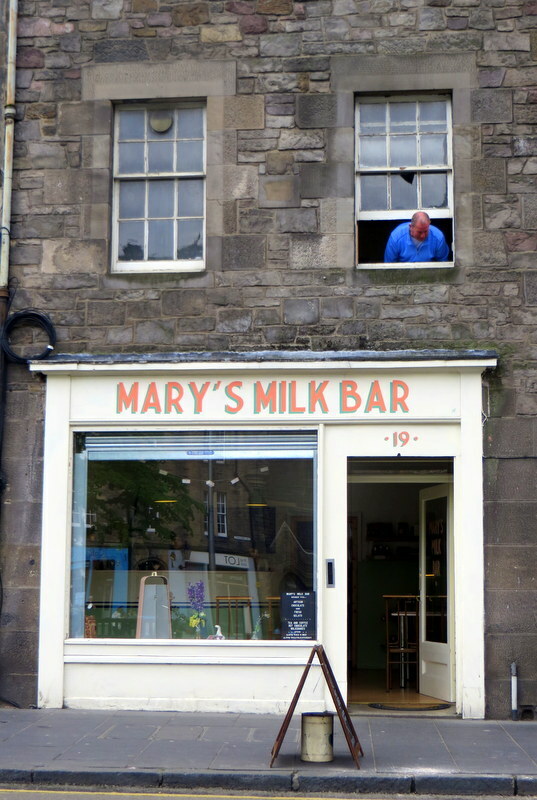 Serving old-fashioned shakes, ice creams, and hot chocolates, Mary’s Milk Bar was the perfect place to have a treat after wandering around The Grassmarket. The flavors are unique, and I couldn’t help but try several. 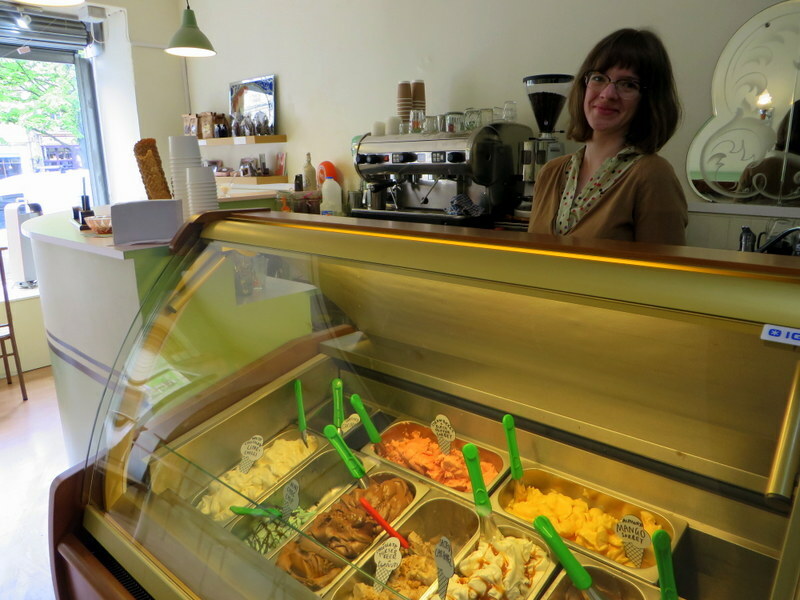 The Earl Grey ice cream was my favorite, but they also had strawberry-black peppercorn sorbet, white chocolate lime and chili, chocolate porter beer and peanuts, and everyone’s favorite flavor, salted caramel. 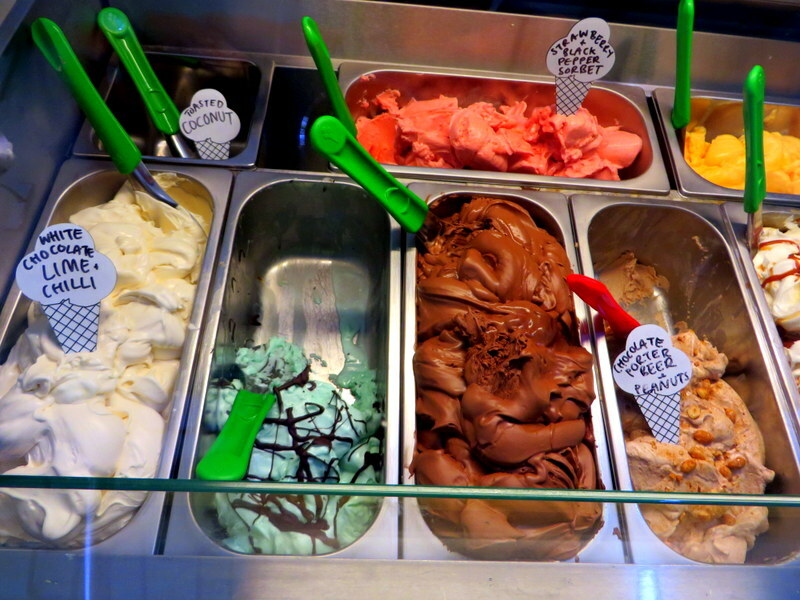 The hot chocolates are also gourmet with flavors such as dark chocolate and sea salt and white chocolate and cardamom. It was all I could do to peel myself away from this place. I love my green juice, and I had a lovely spinach, wheatgrass, pineapple juice that I’m still thinking about. 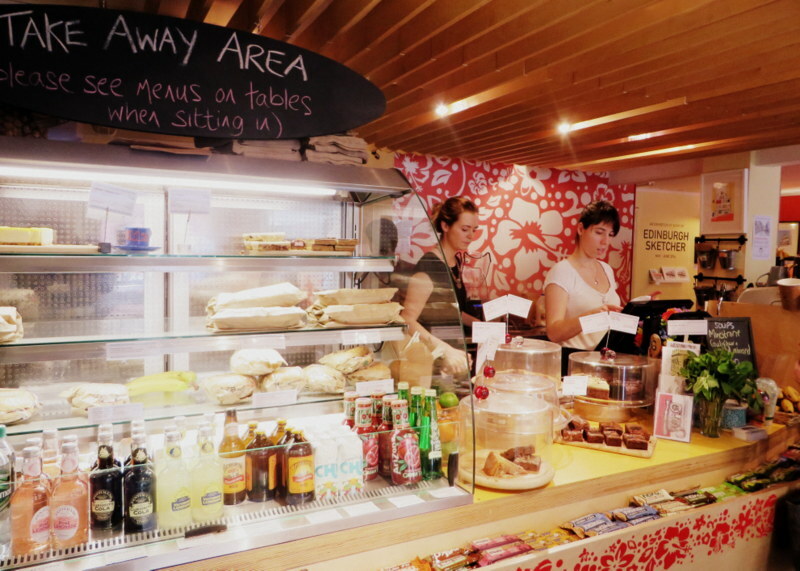 Hula Juice Bar also serves healthy soups and salads, coffee and tea. It seemed to be everyone’s favorite spot to hang out, and I found it a great place to catch up on my emails with the free wi-fi. 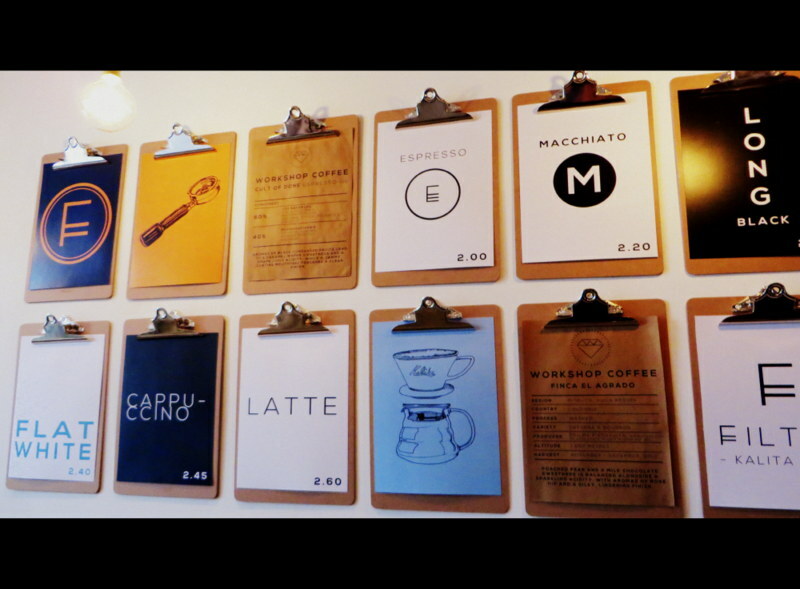 Fortitude Coffee wasn’t just one of my favorite coffee shops in Edinburgh, it was one of my favorite coffee shops period. 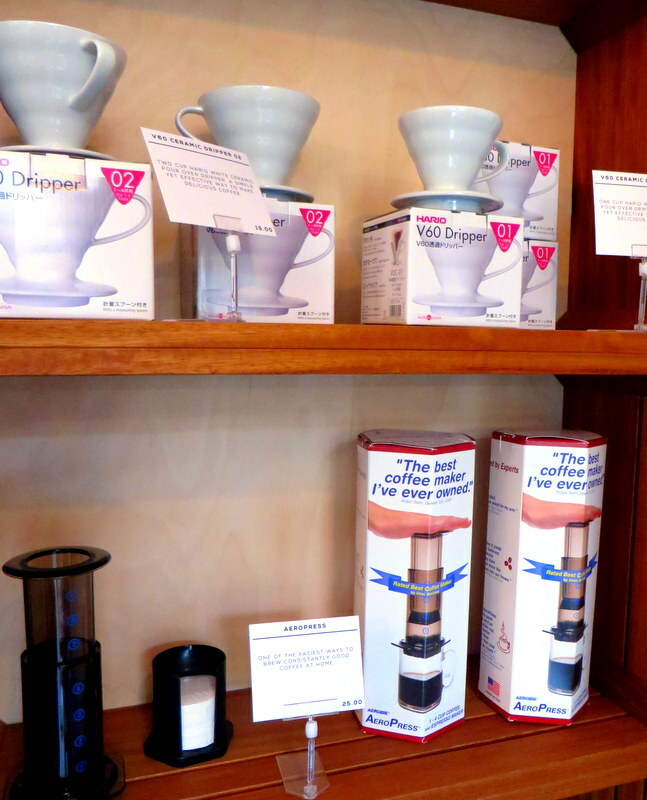 They had freshly roasted coffee beans for sale from all the local Edinburgh coffee roasters, and I knew they were serious about coffee when I saw they sold the Aeropress (my favorite way to make coffee when I travel.) 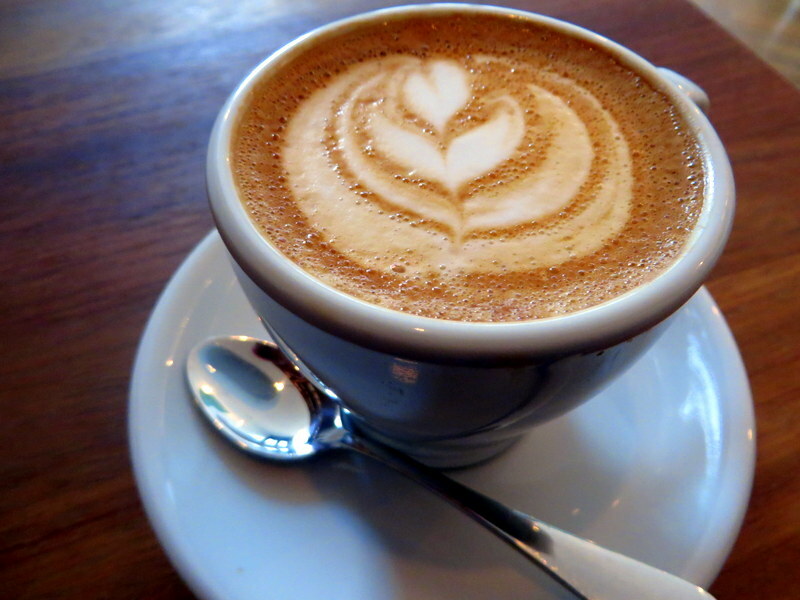 I had both a flat white and some of the Kalita filtered coffee. 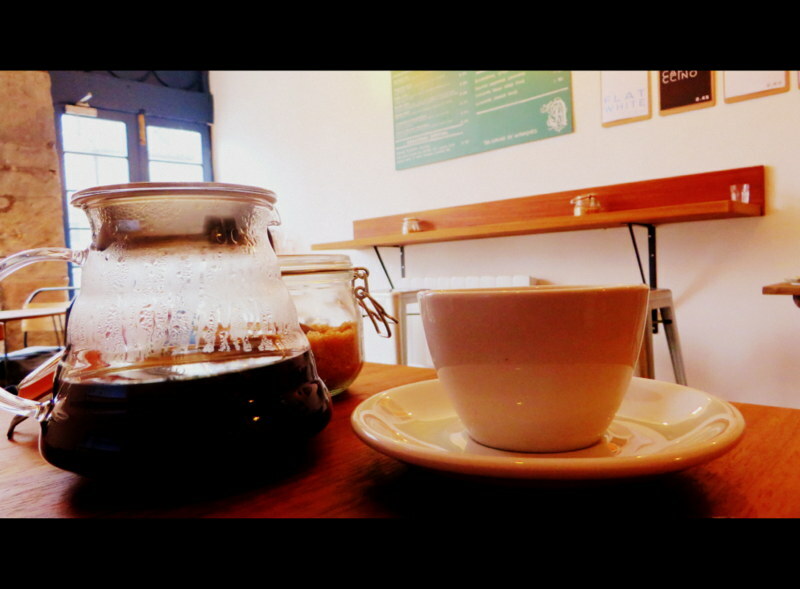 They were both perfectly brewed, and there was a definite difference in the coffee they served compared to some of the other spots around town. You could tell the beans were fresh, and that makes a big difference. 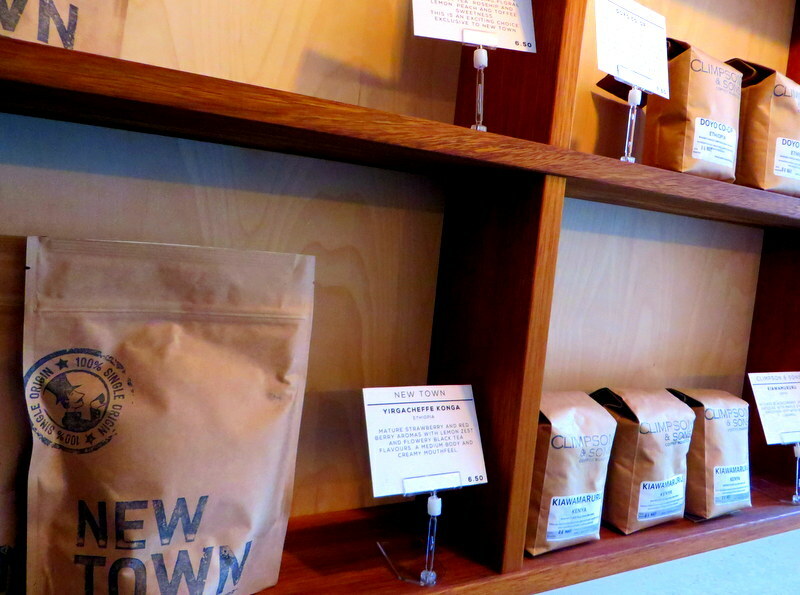 I absolutely loved Fortitude, and I loaded up my suitcase with several bags of their freshly roasted beans. 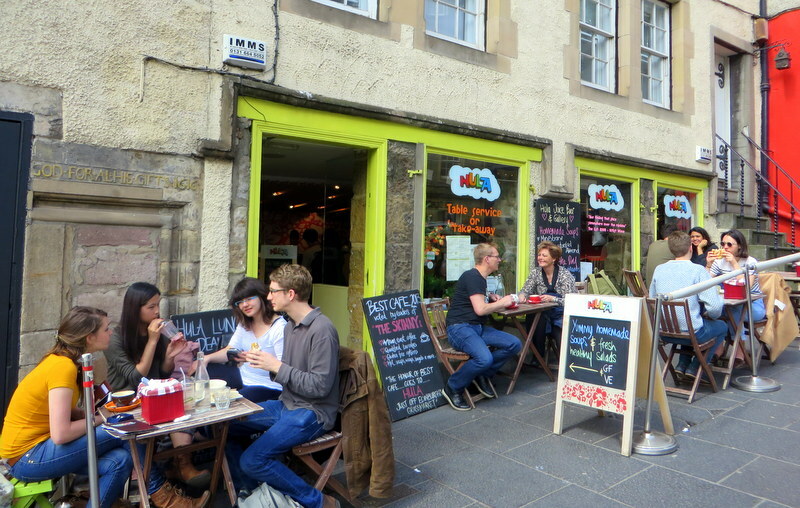 Do you have a favorite food or drink spot in Edinburgh? 10 Responses to "5 Edinburgh Food and Drink Spots You Don’t Want To Miss (Including A Spot That Dares To Serve Whiskey That Isn’t Scottish)"
Ooh! This is super useful for my upcoming trip to Scotland. Basically, I’m going there for the food. Deep-fried Mars bars, specifically. 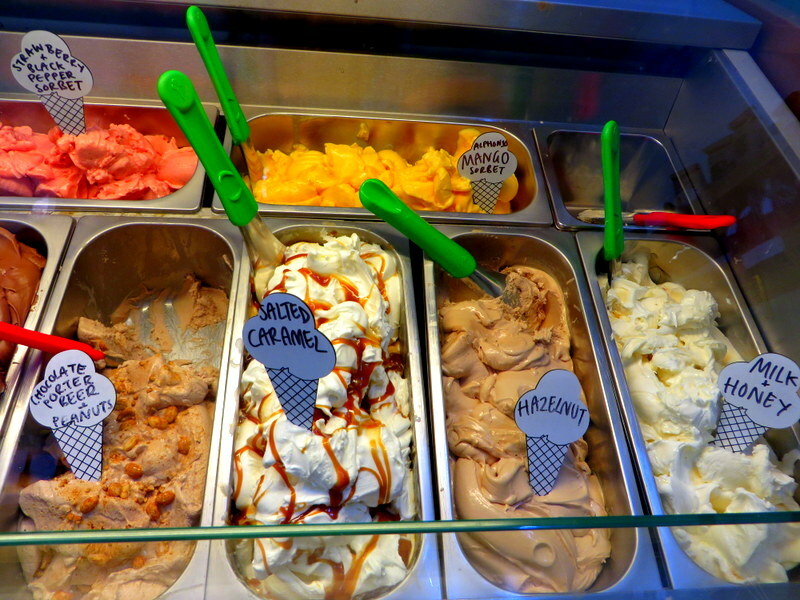 But in the meantime, I’ll definitely try some of the your ‘healthier’ options haha! Yeah, no deep-fried Mars bars for me! Oh, I’d love to visit the milk bar. 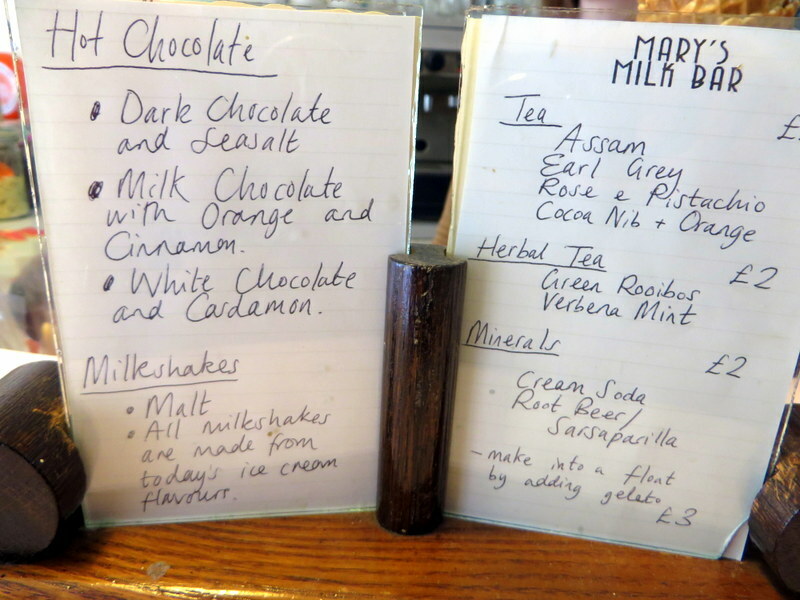 Ever since I read about the teenage history during the 50’s and 60’s in the UK I’ve wanted to see a return of milk bars as they sounded like the hippest thing to go to when everyone was young and waiting there turn on the jukebox. Funny title, funny title indeed. I live in London and have only been to Edinburgh once a few years back and I didn’t do any planning about where to eat and drink so I remember wandering around aimlessly! I’ll definitely be keeping this post bookmarked for my next trip as lots of helpful suggestions! 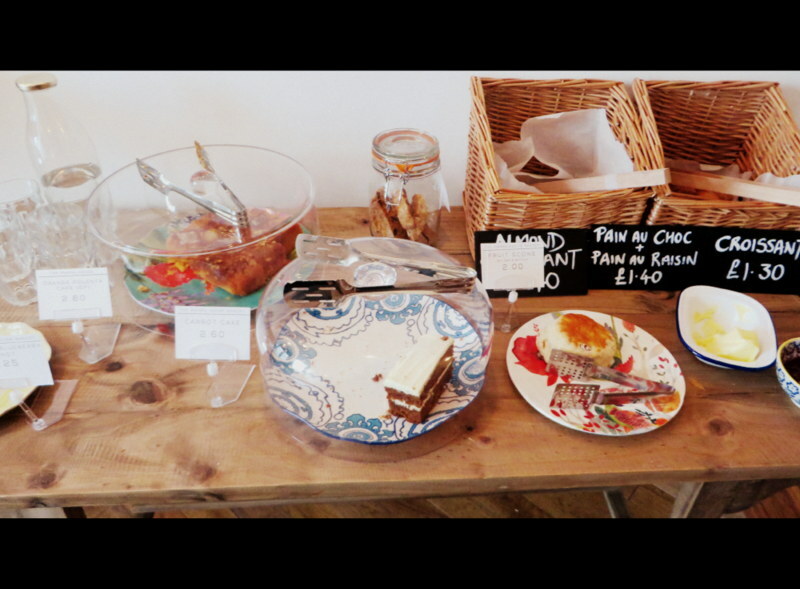 The coffee shop sounds lovely! Yum, that fish and chips looks delicious!